Episode #11 records tomorrow night AND WE NEED YOUR QUESTIONS! Post your questions below and we’ll answer them on the podcast! 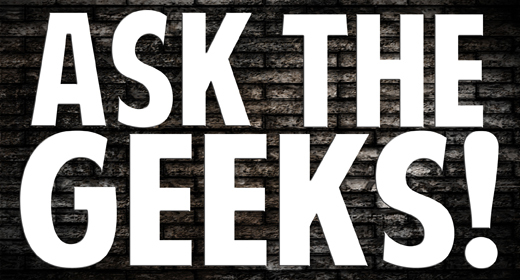 You can also tweet us your questions on Twitter (@JustUs_Geeks) or post them on our Facebook page! Fall of Cybertron Metroplex trailer – Watch it now! So, here’s my question. Let’s just say there is a superhero registration act that forces all superheroes to register their secret identies with the federal government. Where do you stand, Geeks? Should they register or are they ABOVE the law? Love the podcast keep up the great work. I’m just going to point back to my other question from last week about where I should start with comics. I accidentally missed last weeks questions. But this time I’m actually leanin more towards getting into the avengers comics, but again I really don’t know where to start. And which avengers are good stand alone comic book heros for me to get into. Thanks guys I can’t wait to hear the next podcast.